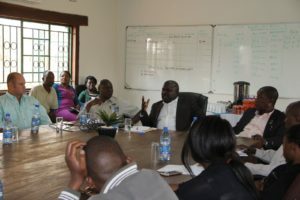 During a farm visit on Friday, Honorable Lucky Mulusa, Special Assistant to the President for Policy, Projects and Monitoring, congratulated Amatheon Agri Zambia for its significant contribution to the nation’s social and economic growth. “One of the things that we are impressed with is your vote of confidence in our economy. Your mere production of crops here adds to economic growth and beyond that, you are achieving sustainable development because you are empowering the local people here by making sure that they own the means of contribution towards the country’s economic growth,” Honorable Mulusa said. Honorable Lucky Mulusa congratulates Amatheon for achieved growth and sustainable development. The State House delegation was eager to hear challenges being faced by the company. 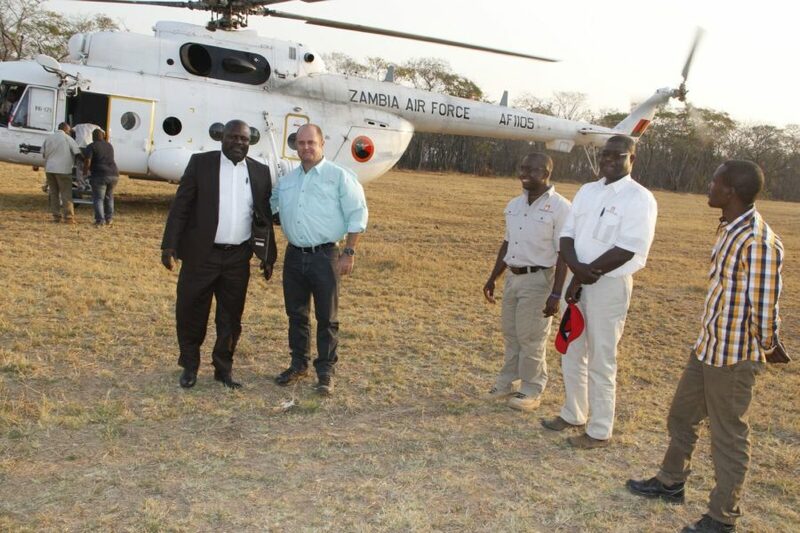 Before the delegation took off in a helicopter of the Zambian Air Force, Mr. Mulusa encouraged Amatheon Agri Zambia to roll out its operations into other provinces which are well suited for agricultural production and economic development. Since 2012, Amatheon Agri has invested over US$70 million in Zambia’s agriculture and food industries.